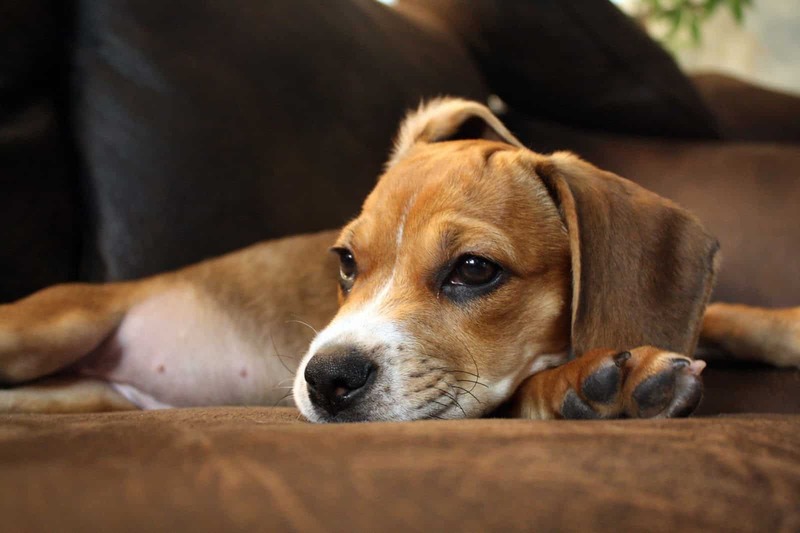 One of the more unpredictable breed mixes you can get is the one between the Beagle and the Bulldog, the resulting mix being the Beabull. While the typical Bulldog is a calm and lazy dog, which enjoys his quiet time, the Beagle is energetic and needs constant entertainment. 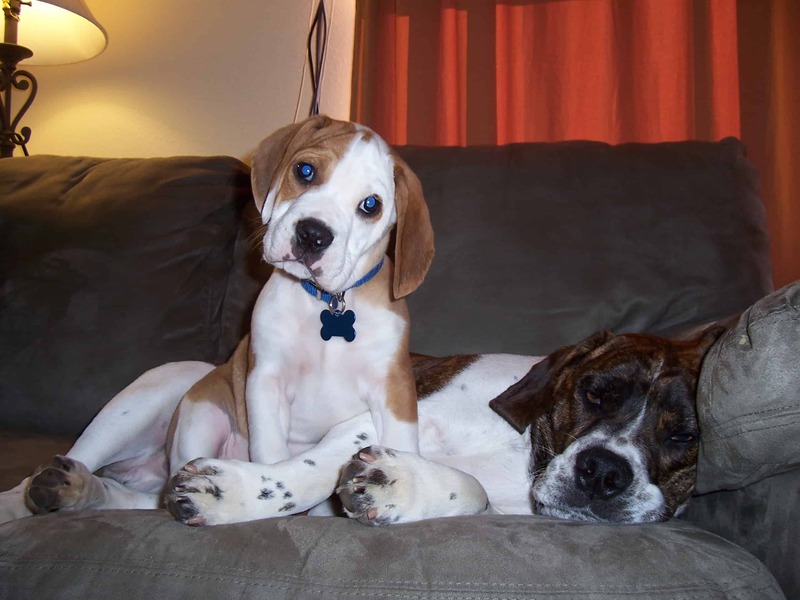 A mix between these two breeds can be unpredictable because you don’t know exactly what you’re getting, as far as the temperament goes. 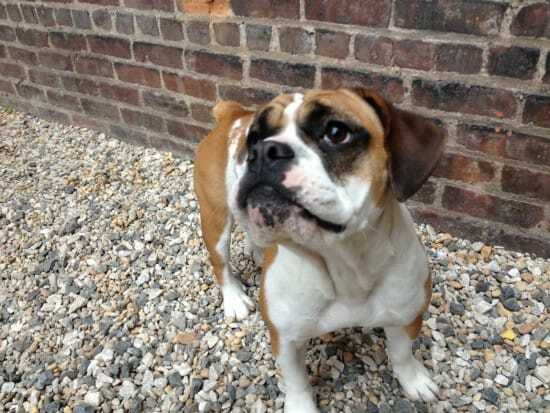 Below you can read a bit more about the Beabull, this Beable Bulldog mix which can be very charming, but also incredibly stubborn, a characteristic which can be found in both breeds, so there is a very big chance your new dog will have it. The Beagle is a breed of small dog of unknown origin. It can be traced back to 16th-century England, where it is first known to have appeared as a distinct breed. Almost all modern English beagles are descended from a noted pack kept by an English clergyman in the middle of the 19th century. The American beagle is short-legged, stands 12 to 16 in. 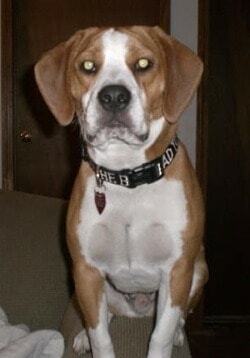 high at the shoulder, and has a smooth coat that is usually white with black and tan. It has a long, slightly domed head; brown or hazel eyes that have a kind expression; drooping ears; a straight and square-cut muzzle; sloping shoulders; muscular hips and thighs; and a short, slightly curved tail with a brush. 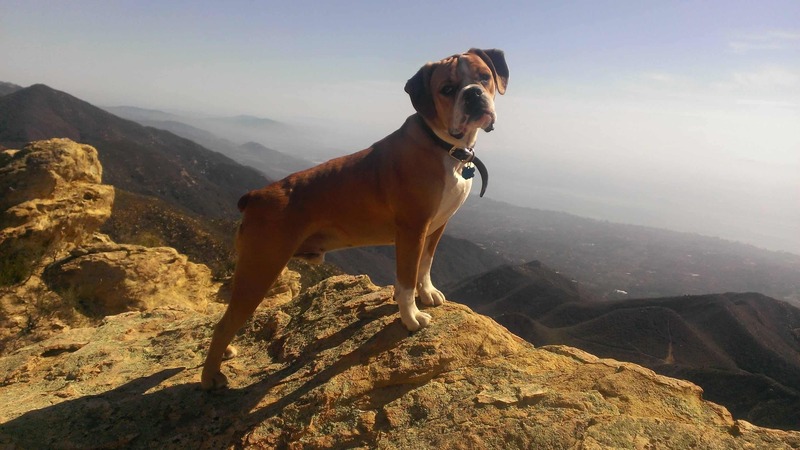 You can expect your Beabull to have at least some of these characteristics. 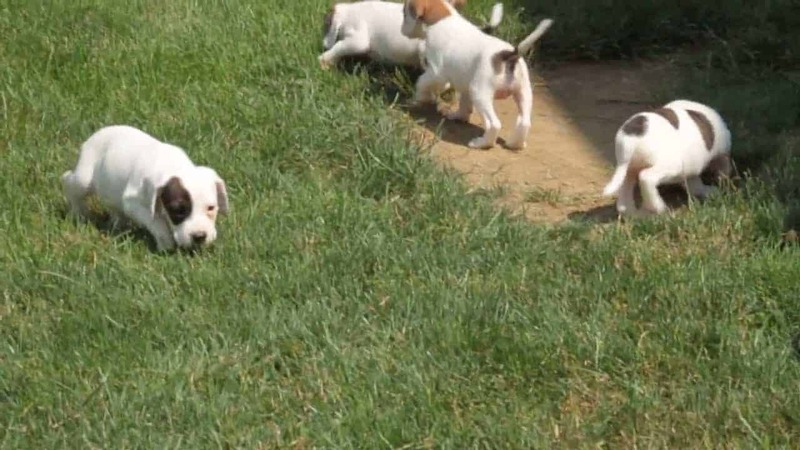 The beagle, which hunts by scent, is used for finding small game such as rabbits and is one of the most popular hunting dogs as well as house pets. 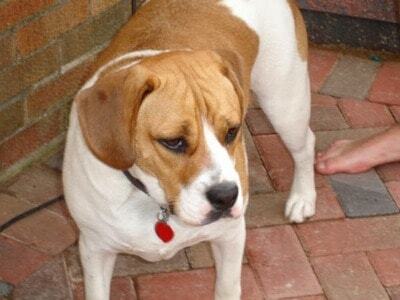 The Beagle is very good natured, and in the home, a very trustworthy family member, especially fond of children. Bulldog, breed of dog developed in England in the 13th century for courage and ferocity needed in the sport of bullbaiting. After bullbaiting became illegal in 1835, the dog was bred to eliminate viciousness. 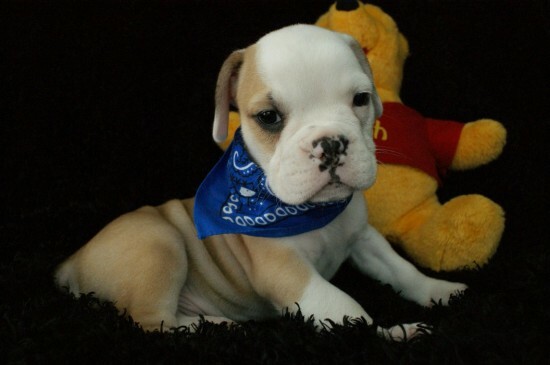 The bulldog has a heavy, thickset, low-slung body; a massive head; wide shoulders; short, stout, and straight forelegs; long hind legs; and a fine-textured coat of short, straight hair. It has small, thin ears, located high on the head; a large, broad nose; and a deep, broad, and full chest. The lower jaw projects, enabling the dog to take a grip that is difficult to break. The tail is short, straight, or screw, but not curled, and is hung low. 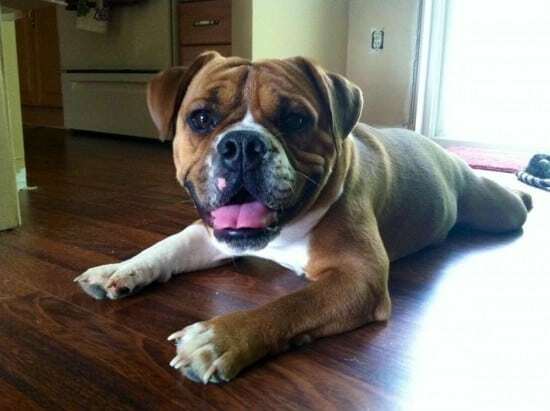 The color of the dog may be red brindle, other brindles, solid white, or piebald. Mature male dogs weigh about 50 – 60 lb. and stand at least 19″, females weigh about 40 – 50 lb. and stand 17 in. tall. The Bulldog is good natured. They have a lot of patience and are very tough. They are good with children and make excellent pets. Bulldogs can be generally stubborn. Training at an early age is recommended. This is a stubborn dog, one that will do great around kids, which makes them great choices for a family. 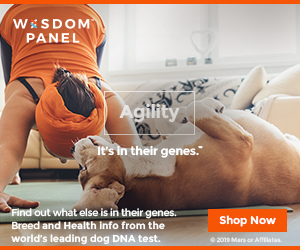 Whether you have a dog with a lot of energy or not is unsure, so you’re better off having a big yard for them to run around in. 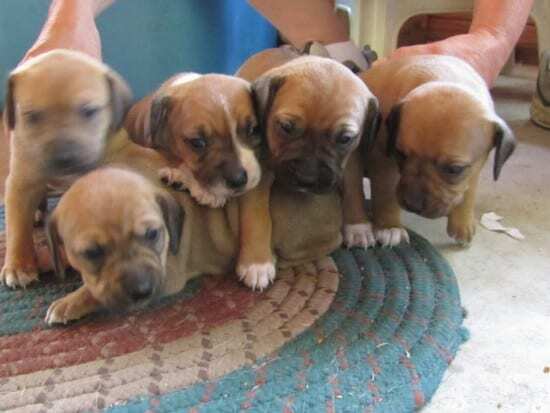 The puppies can be very charming and great to have around. Your kids will love them and they’re great companions for elderly people as well. Make sure you have the time to keep them entertained though. As with many other breeds, if bored dogs might start destroying things around the house. Beautiful dogs. I just adopted a female pocket pitt beagle mix. She is incredibly smart.